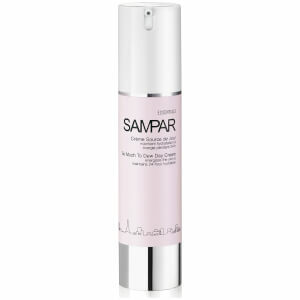 Addressing skin concerns with both luxury and efficacy is what SAMPAR is all about. After his medical studies, Patrick Sounigo used his knowledge and training to develop a line of skin care products. 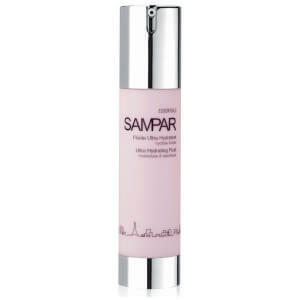 The result was SAMPAR, a deluxe line of skin care that infuses natural ingredients with proven effective actives. The brand was founded by Sounigo along with designer Antoine Bouillot who shared a passion for a modern luxury brand that would change the skin care world by embracing the lifestyle of the modern Parisian woman. 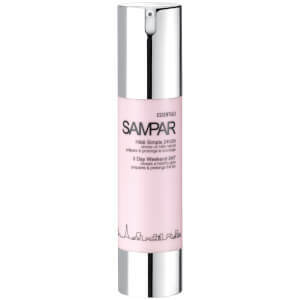 SAMPAR skin care addresses most common concerns and conditions with efficacious formulas that are also an absolute pleasure to use. Each and every one of the SAMPAR products available was expertly formulated to meet the standards of the most discerning tastes. You can choose from a wide selection of products such as cleansers, moisturizers, toners, masks, treatments and specialty items for the body. The formulations address common issues such as aging, discoloration and acne blemishes.Fill your bathroom with the goodness of SAMPAR and enjoy luxury combined with effective ingredients that will help your skin glow and thrive. 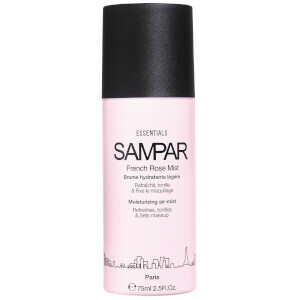 French cosmetic brand SAMPAR is available internationally and SkinStore makes adding these products to your skincare routine simple. Whether you're looking to target imperfections such as age spots or blemishes or hydrate your complexion, you can find SAMPAR products that suit your needs. When you're shopping for skin care products, you want to choose ones that will nourish your skin while keeping it protected. 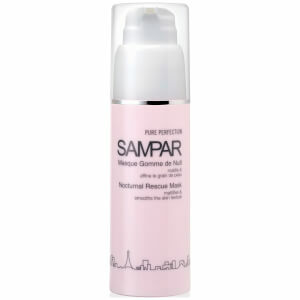 SAMPAR has a commitment to using natural ingredients whenever possible to develop gentle yet effective products. 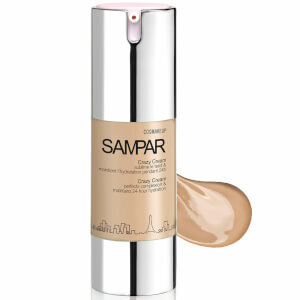 In fact, SAMPAR products are non-comedogenic, meaning their ingredients won't clog the pores. These products have a high concentration of natural ingredients, which is ideal if a green lifestyle is your preference. 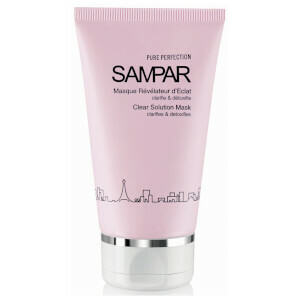 Moreover, SAMPAR wants its products to not just enhance the beauty of your skin; the company is also committed to protecting your skin from environmental damage. Each SAMPAR product is equipped with an anti-pollution shield, which can build the skin's defenses, minimize the effects of pollution and calm your skin. 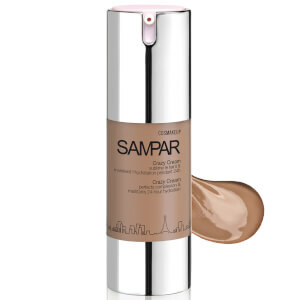 In addition to skin protection, the SAMPAR brand also focuses on using innovative, high-tech ingredients to maximize the effectiveness of their products. 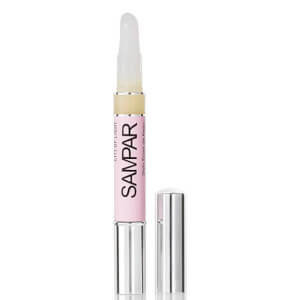 Essential oils, soy extract, marine collagen, and shea butter--among many other active ingredients--make SAMPAR products unique and effective in targeting a number of common skin concerns. 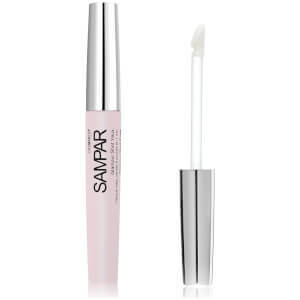 Identify your skin's needs, and find the SAMPAR product that can satisfy those needs. This simple addition to your daily skincare routine can lead to significant results that leave you with a healthier and more beautiful complexion. 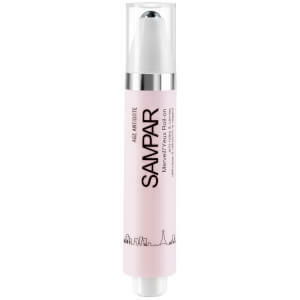 A perfectly formulated and designed skincare treatment like those of the SAMPAR Products line is a thing of beauty in and of itself: a seamless marriage of cutting-edge dermatological technology and fashionable cosmetics. 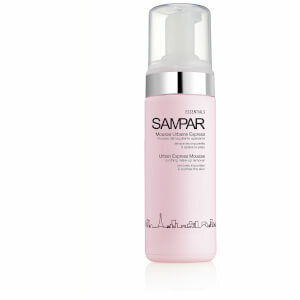 To shed makeup as well as oil, dirt, and all the other impurities that collect during the day, enjoy a soothing wash with the SAMPAR Velvet Cleansing Milk. Gentle and silken on your face, it's nevertheless a full-bodied treatment: A rigorous combination of the Urban Advance Complex and tannin-imbued natural agents like lime-blossom and rosewater fight against free radicals, bolster your skin's natural defenses, and leaves a soft, supple feel to your face afterward. Not drying or irritating, the SAMPAR Velvet Cleansing Milk is its own evocative sensory experience, a perfect way to cleanse yourself, physically and spiritually, at the close of a fast-paced day. Feeling tired and worried that you're looking as beaten-down as you feel? 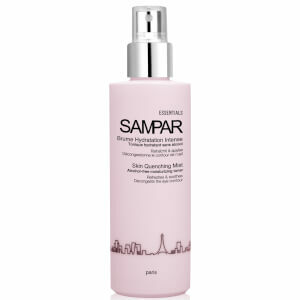 All it takes is a spritzes of the SAMPAR Skin Quenching Mist to quench your thirsty skin. The alcohol-free formula is packed with botanical extracts, as well as the Urban Advance Complex to revitalize a tired, dull complexion. The Skin Quenching Mist will moisturize and soothe the skin, combat free radicals, diminish puffy eye margins, and provide a refreshing seal to your makeup application. 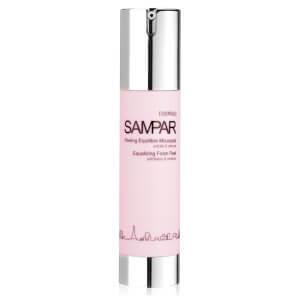 For all of your exfoliating and age-defying needs, the SAMPAR Equalizing Foam Peel removes dead skin-cell layers and promotes skin-cell growth and hydration with a powerful combination of the Urban Advance Complex, natural Alpha-Hydroxy Acids, and essential oils. Wrinkles and fine lines are diminished and toxins are removed to leave your skin feeling renewed and invigorated.